Description: Uncompromising performance, maximum battery life, a clutter-free PC experience and smart energy efficiency – that‘s exactly what you get with an all-new TuneUp Utilities™ 2012. 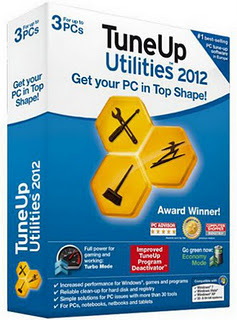 Packed full with more than 30 tools, we guaranteed that your PC is in top shape!It’s Windows® like you’ve never seen it before, all thanks to two truly unique technologies built into TuneUp Utilities™ 2012. 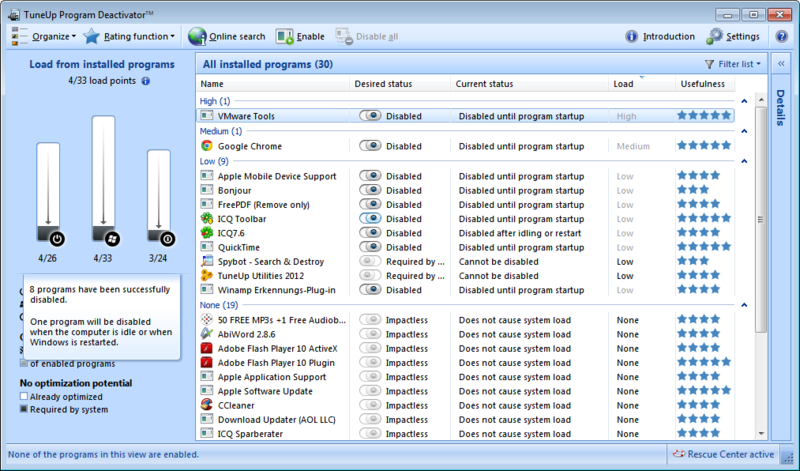 Our revamped Program Deactivator restores over 50% of speed and free space on bogged-down PCs, while TuneUp Economy Mode improves battery life by up to 30% and is nothing short of an energy-saving miracle. And now it’s easier than ever to optimize your PC thanks to our fully redesigned Start Center. TuneUp Program Deactivator Fully automated!